History by Paul Beard. 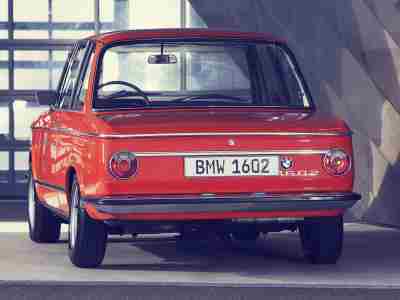 Paul Beard tells the story of the BMW 1602 Electric – 1969 Fifty-two years ago, at the Geneva Motor Show of March 1966, BMW launched the 1602 model. Here, we explore the electric version of this stylish saloon, which became the springboard for the company’s involvement with electric cars that culminated with the i3, launched in 2013. Part of the 02 Series of cars that came in several different sizes and a number of configurations, including coupé and convertible, the 1602 remained in production until 1975 when it was replaced by the first iteration of the 3 Series. 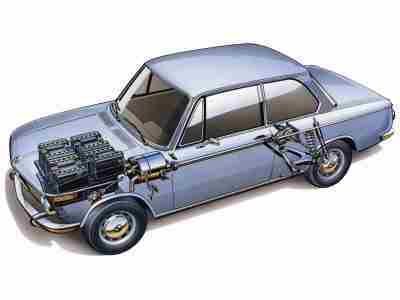 In 1969, the Munich-based company decided to take a first look into battery-powered motoring. 02 cars were selling like hotcakes but the production of oil was reaching a peak in the USA in the late ‘60s and various wars were affecting supply of the black stuff and consequently prices were increasing. The intention was never to put the car into series production, so maybe it was coincidental that the project came about during the Oil Crisis. 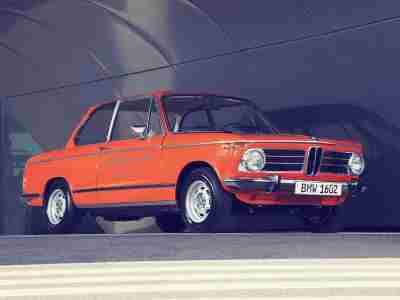 After several years of research and development, BMW were ready to showcase their first electric car in 1972 and decided to do so at the Olympic Games of that year, held in Munich, Germany. 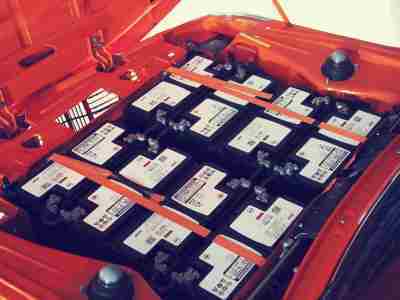 The two 1602 Elektro- Antrieb (Electric-Drive) cars were finished in orange and from the outside looked just like the standard petrol cars. 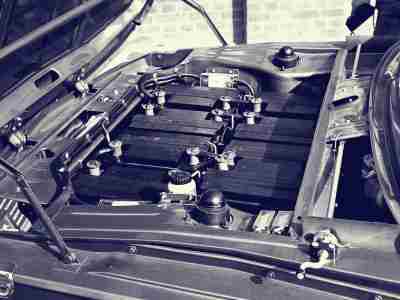 However, under the bonnet was a pallet of a dozen BMW 1602 Electric - 1969 - 12V lead-acid batteries developed by Varta and cooled by a radial fan. This power pack was linked to a DC shunt-wound motor from Bosch, rated at 12kW/32kW (continuous/peak output) or 43bhp maximum, which was mounted to the chassis where a gearbox would normally have sat. Drive then went to the rear wheels via prop shaft and back axle. You’d think then that performance would be OK, but you’d be wrong. 0-30mph took a shade over 8 seconds and top speed was 62mph; hardly surprising when there was 350kg of battery up front! 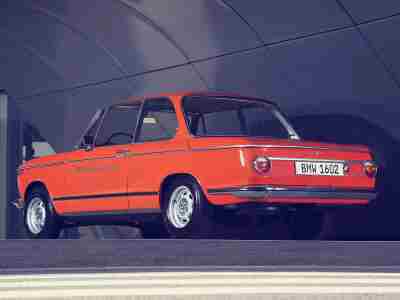 According to BMW at the time, range was about 19 miles, but that was only if you kept your speed down in the low 30s; bearing in mind that these cars were used as backup vehicles in the marathon, one wonders how they coped. 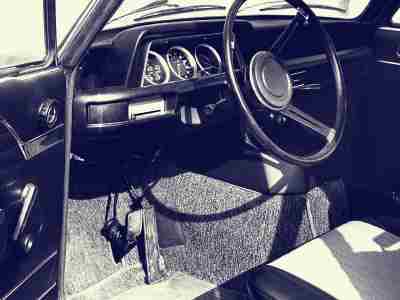 An early form of regenerative braking was part of the package though and the whole car was seen as very advanced for its day. 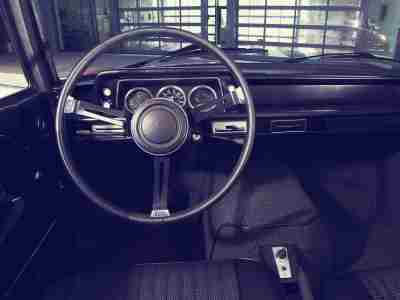 Although this car wasn’t available to buy, development continued and in 1975 the LS Electric was revealed with a new DC series motor and a more advanced set of 10 batteries from Bosch. These cars did, however, pioneer the importance of development and understanding of electric propulsion for BMW, which ultimately embarked on producing its own electric motor following trials of another test mule; the Mini E in 2009-2010.